The art of bead making is one that has been around for thousands of years. 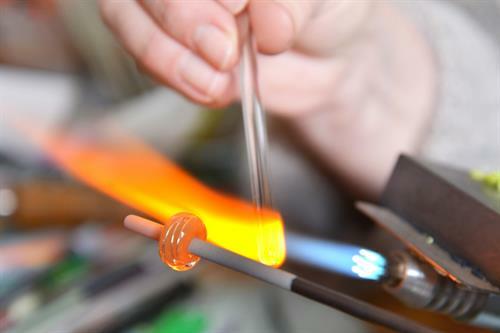 Join in this fun history by learning how to create your very own glass beads. How to make glass beads will be demonstrated. Bead designs, colors, tools and safety will be covered. By the end of class you will have 1-2 glass beads that you created!